Earlier the business class laptops looked so irking with its black or grey skin. But the situation changed when Surface Pros and Apple MacBooks were started to gain the confidence of business class people. Dell also minds this shift of business class people and copies the attractive design features to XPS notebooks which guarantee higher level security and durability. Let us go through the hidden facts of new business laptop from Dell which is about to occupy the shelves of the shops. 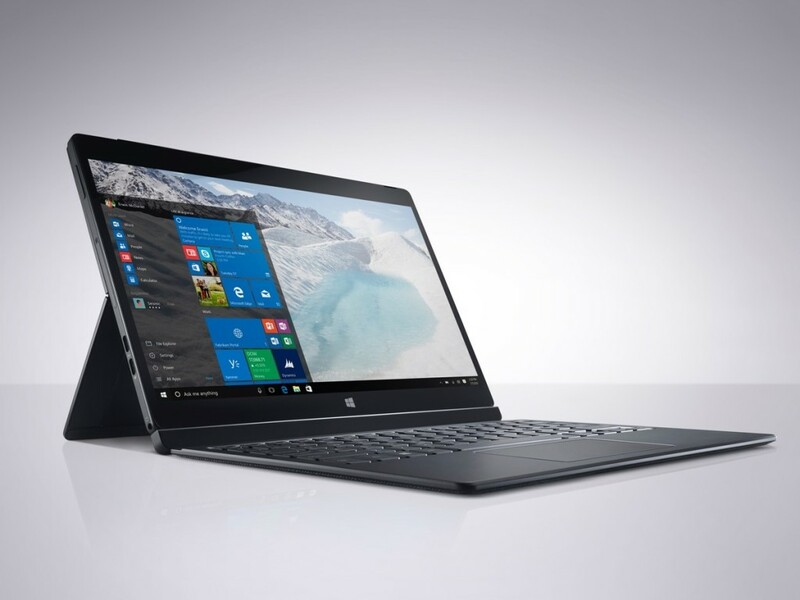 The new Latitude 13 7370 model from Dell is made of carbon fiber body. Dell promises that this shell is having a quality of those being used in Space Shuttles.This carbon body is again covered with clear soft touch finish. This laptop passes the MIL SPEC 810 test of durability and so guarantees to execute better performance and durability even when used under extreme conditions. This laptop is too slim with its 0.56 inch thickness and weighs only 2.48 pounds. The display is packed with a bezel free 13.3 inched screen with Infinity Display technology. This technology had its first appearance in XPS 13 released in 2015. Customers are allowed to select between either 1920*1080 anti-glare screen or to have an advanced 3200*1800 WLED touch enabled display.Dell packed Latitude 13 7370 model, a CNC machined aluminium lid which ultimately gives this laptop a classic and elegant look. Latitude 13 7370 is loaded with Core m processor from Intel with a RAM upto 16GB. Storage is provided by M.2 SSD storage which provides 512GB space.Dell packed this business class laptop with Core m3, m5 and m7 processors which Intel itself has confessed that it is not as powerful as Core i3 or i5 or i7 processors in XPS series. But Dell officials promise that they deliver the same speed as 5th generation Core i CPUs offer. Core m processors are also known for their energy efficiency which is an inevitable requirement for business class laptops. Latitude 13 7370 is loaded with two Thunderbolt 3 USB C ports which supports faster data transfer. This device is also loaded with one micro HDMI port and one SD card reader. This device also features the old fashioned USB Type-A port also. The keyboard functionality is exceptionally brilliant. With right amount of keys that too with backlighted feature, guarantees a better typing experience for the user. The new device from Dell offers better security for your credentials with built-infingerprint sensor. Other features inserted in the device are Intel TPM chips and Intel vPro processors. The new device is set to available at retail shops by 8th of March. Latitude 13 7370 is tagged with a price of $1,299. With its distinct design and advanced features, this new device is expected to give a tough time for other business class devices such as Surface Pro and Apple MacBook.